I adore MAC makeup. It’s one of my favourite high-end brands, and I could literally spend my salary a million times over in their stores. Thankfully, my family and friends acknowledge this, and very kindly give me gift vouchers for birthdays and Christmas. The one thing I do not adore about MAC however, is how busy their stores can be. Since I study at college during the week, and work on the weekdays that I’m not in college, I tend to save my shopping (and socialising) for the weekend. Unfortunately, that doesn’t compute with MAC’s customer levels; attempting to browse on a Saturday, or even a Sunday, is just not going to happen. As a result, I’ve had gift vouchers for MAC burning a hole in my purse since last Christmas. I’ve tried many times to spend them; but I feel so stressed by the number of people swarming round the lipstick stands as I try to find the one that resembles the one I saw in a YouTube video the previous week, that it’s just not worth the hassle. I’ve just had my half-term holiday, so I seized the opportunity to leisurely browse and pick up some new bits and bobs for my collection. I also hit MAC’s section of duty free before a recent flight to the Midlands, so this is technically 2 MAC hauls in one! I’ve also uploaded the haul in video form which you can watch HERE. I’ll kick off with the bottles. 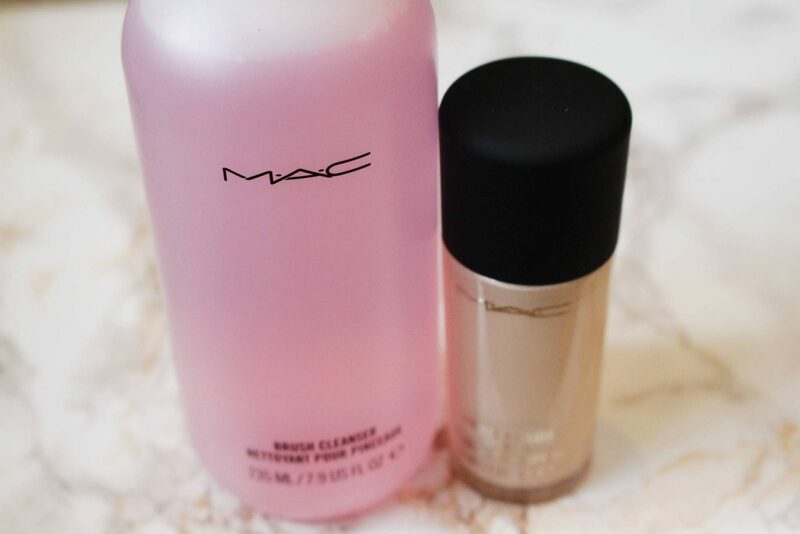 Both of these are repurchases – on the left we have the MAC Brush Cleanser. I picked up a bottle of this ages ago; and I really mean AGES ago. I’ve tried a couple of different brush cleaning products from different brands, but in my opinion MAC’s one leaves my brushes feeling most like new. Some shampoo-like cleaning products leave a residue on my brushes, leaving the bristles slightly clumpy or greasy; I also find that my foundation brushes often don’t look clean, even though the water rinses clear after washing. MAC Brush Cleanser restores brushes to their original colour and leaves the bristles looking and feeling new – plus the bottle really does last for yonks! On the right, we have an old favourite of mine – MAC Studio Fix Fluid in NW10. I’ve been wearing Studio Fix Fluid for 2 years now, and I’ve been so happy with it that I’ve never considered trying any of the other MAC foundations. NW10 is one of the lightest shades; it applies and blends really well, and it appears reasonably matte, which I love – although it’s not to everyone’s taste! It has great coverage with a small amount of product; but make sure you pick up a pump for the bottle too, and it’ll last even longer! 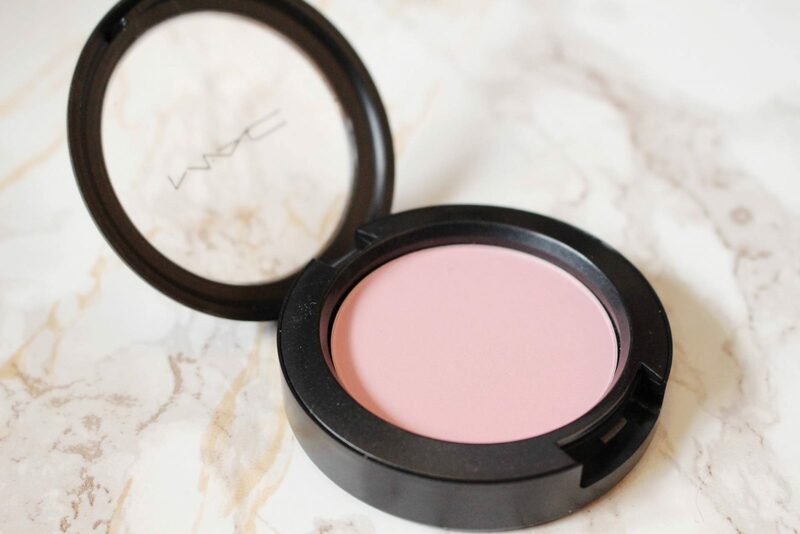 Next we have MAC Pro Longwear Blush in Stay Pretty. I had no idea that this was from the Pro Longwear range until I saw the packaging – I just loved the colour! I tend to go for peachy or coral tones when using blush (hence why my favourite blush is MAC Peaches) and for winter I have a gorgeous dark red blush too – but for autumn I’m loving earthy eyes and lips, so I wanted to pick up a blush that was a little more subtle. Stay Pretty is a gorgeous dusty pink colour and adds just a hint of a pink glow between my contour and highlight! Onto a slightly more impulsive purchase. The night before going shopping, I watched a makeup tutorial video from Jamie Genevieve based on autumn colours (you can check out the tutorial in question HERE). She used the Morphe 35O palette – although some of the shades used were a little dark for me, I loved the rustic colouring of the look and decided to have a bash at recreating it. 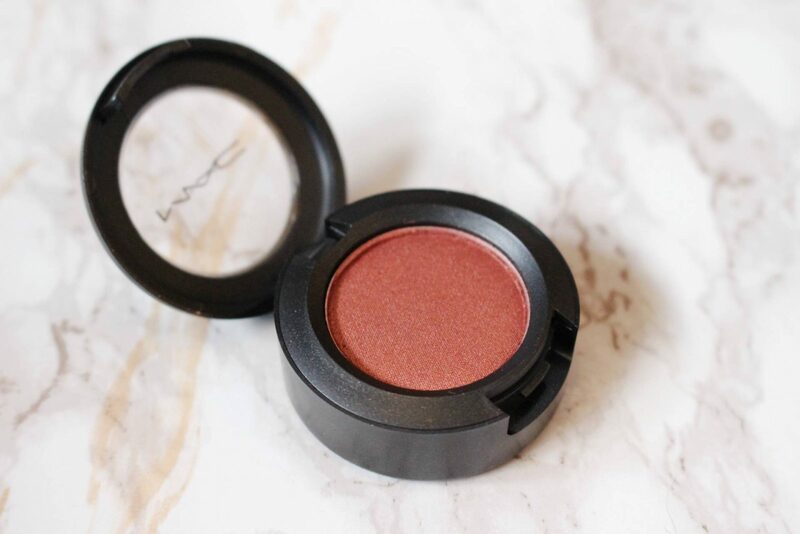 I was having a browse and picked up MAC Eyeshadow in Coppering – it’s a gorgeous rustic/burnt orange/autumnal colour that you wish every single leaf adopted as it falls from the tree! MAC eyeshadows are super pigmented, so although the pots are only little, I won’t need to use a lot of product. Onto the lips! 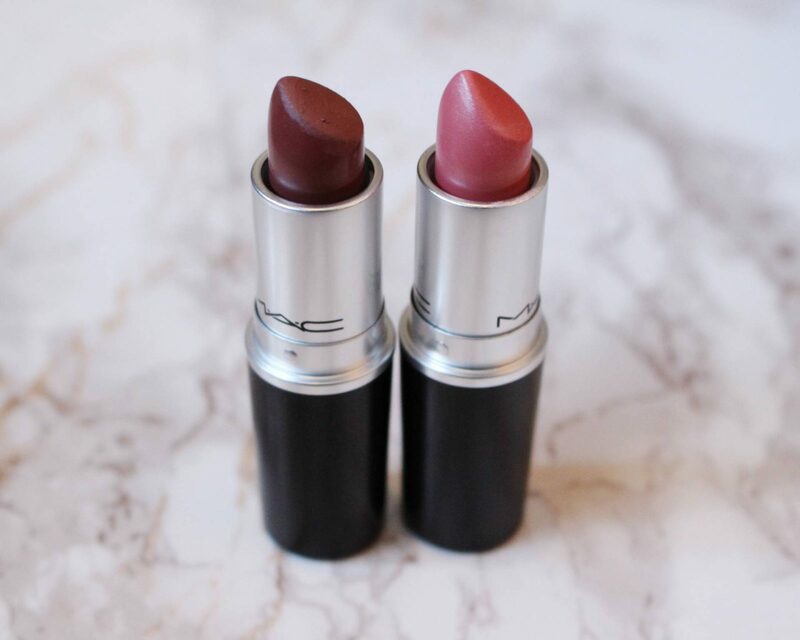 MAC lipsticks are a vice of mine – I find them to be so moisturising and long lasting. 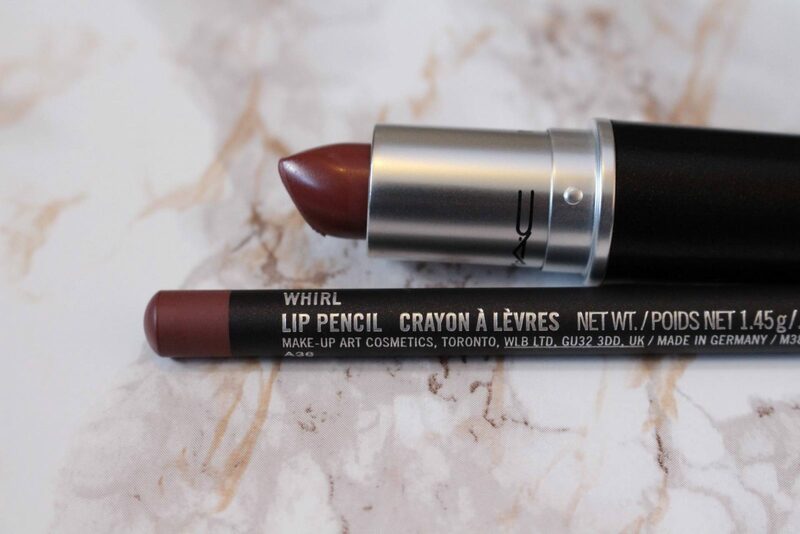 I love that the matte ones are exactly that; I can’t stand when a matte lipstick appears shimmery or shiny. I saw a tutorial from Tanya Burr months ago where she created a look based around MAC Matte Lipstick in Whirl (you can watch the tutorial HERE, it’s gorgeous). Ever since watching the tutorial all that time ago, I’ve been toying with the idea of picking it up. However, there were 2 obstacles in my path; first, I already own MAC Persistence, which I love, but is very similar to Whirl; and secondly, I could never find it in store! Remember that stress of the lipstick stand I mentioned? Trying to look through every single brown-toned lipstick in store is rather exasperating when there’s a crowd around you! When I was in duty free, I had peace and quiet to browse. And I decided that although I love Persistence, Whirl is just that little bit darker and therefore I could total justify buying it. Besides, it’s cheaper in duty free! Since buying it, I’ve been wearing it constantly – and I’ve had loads of compliments on it, which never happens to me! The other product is MAC Lustre Lipstick in Giddy (for some reason, I can’t find this on the website to link you!) This is a much more natural colour, with a hint of pink for a girlie look. It goes so well with the Stay Pretty blush! At the moment I’m going between strong looks and softer looks; I’m becoming a little more experimental with my makeup! But a girl can never have too many natural lip colours – and I love this one. Finally we’re onto lip liners. Admittedly, I never use them – but in an attempt to make my lips appear bigger without resorting to fillers, I shall be trying to overline! 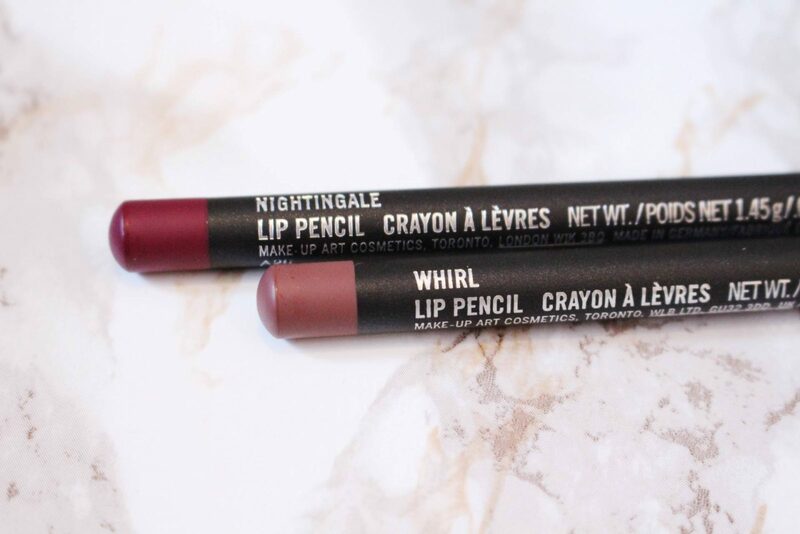 I picked up MAC Lip Pencils in Whirl and Nightingale – Whirl is to accompany the Whirl lipstick funnily enough, and Nightingale will look amazing with my berry shades. I can’t wait to try them out – I just hope my experiments pay off! How good a match is that?! "Sleepover 90s Comedy Movies: My Top 5"